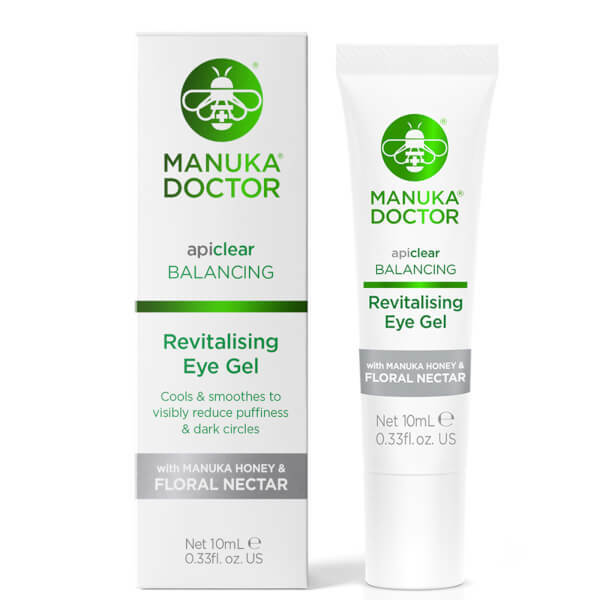 Catering specifically for the delicate eye area, Manuka Doctor's ApiClear Revitalising Eye Gel gently smooths and refreshes with a cooling effect. 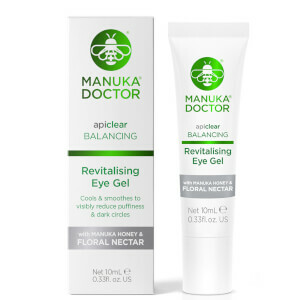 Enriched with a nourishing blend of Manuka Honey, Sweet Almond Oil and Floral Nectar (a sweet liquid concentrated at the heart of the Combretum Farinosum flower), the refining formula helps to minimise the appearance of fine lines and wrinkles, whilst soothing puffiness and brightening dark circles for a smoother, younger-looking eye contour. 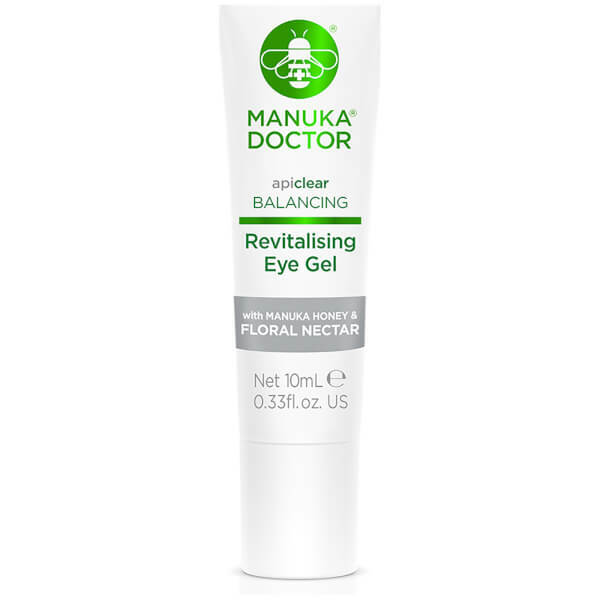 Squeeze the tube and using gentle pressure, apply directly to the delicate eye area. Use morning and night on freshly cleansed skin.